The 2018-19 free agent class has the potential to change the landscape of baseball. In Manny Machado and Bryce Harper, there are two 26-year-old mega-talents available for nothing but cash (and, in Harper’s case, a draft pick and international bonus money), and those guys do not come around often. They have the ability to sway a division race, a pennant race, and a World Series race all by themselves. They’re that good. The Yankees are in the business of acquiring superstars — or at least they used to be at one point — and they have kinda sorta been connected to Machado in recent weeks. Although he’s never come out and said it — he couldn’t while playing for other teams — it is pretty much an open secret Machado wants to play for the Yankees one day. He and special advisor Alex Rodriguez are close and I imagine A-Rod will go to bat for him. Machado is undeniably talented — he’s no worse than a top ten player in my opinion, if not top five — and undeniably polarizing. Much of that is his own fault. Some of it is general sports talk tomfoolery. Machado would make the Yankees a better team because he’d make every single team a better team. Does he fit the roster? Is the price right? What does he do from here? Those are all valid questions. Let’s break it all down. Machado grew up in Miami and he was the third overall pick in the 2010 amateur draft. The Nationals took Harper first overall, the Pirates took Jameson Taillon second overall, and the Orioles took Machado third overall. 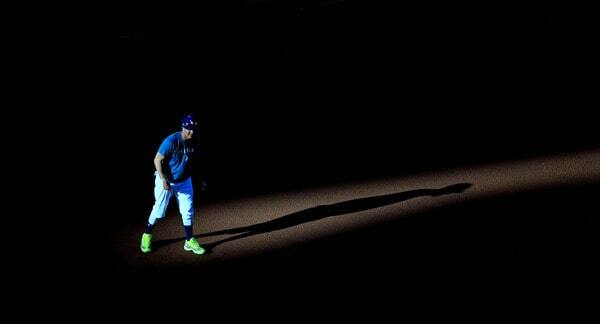 He was drafted out of high school in June 2010 and was called up to the big leagues in August 2012. Machado spent parts of seven seasons with the Orioles before being traded to the Dodgers at this year’s deadline. Roberto Alomar fell just short at +29.6 WAR through his age 25 season. Including Alomar, that’s six Hall of Famers, one player with a Hall of Fame resume who probably won’t get in due to performance-enhancing drug ties, and Manny Machado. That’s the kind of career trajectory we’re talking about here. Players who do what Machado has done at such a young age tend to become all-time greats. Machado made his MLB debut 34 days after his 20th birthday and it took him some time (about 1,200 plate appearances) to settle in at the big league level. He hit .278/.313/.434 (103 wRC+) in 1,266 plate appearances from 2012-14. Since then he’s authored a .284/.345/.511 (128 wRC+) batting line in 2,808 plate appearances, including a career best .297/.367/.538 (141 wRC+) line with 37 homers in 2018. That 2017 season sticks out like a sore thumb, doesn’t it? Machado had a brutal May and June that year, hitting .214/.265/.422 (76 wRC+) with a .223 BABIP and a .330 xwOBA in 223 plate appearances. He bounced back with a .295/.329/.513 (119 wRC+) batting line (.294 BABIP and .376 xwOBA) in 365 plate appearances the rest of the season. Two brutal months dragged down his overall performance. Aside from May and June 2017, two terrible months that happened and cost his team games, Machado has been a true impact hitter these last four years. He hits for average, he hits for power, he doesn’t strike out excessively, and he punishes righties and lefties. And, if you care about such things, Machado is a career .311/.378/.526 (134 wRC+) hitter with runners in scoring position. The guy is a true middle of the order force. The only thing holding Machado back offensively is his walk rate. Despite his ability to make contact and hit for power, Machado’s yet to make the jump into the Mike Trout pantheon of hitters because he doesn’t walk a whole lot. His pushed a 10% walk rate this past season and that’s good. Ideally, Machado would get up into the 12% to 14% range going forward. That’d turn him into .380 OBP guy, or even a .400 OBP guy, rather than a .350 OBP guy. 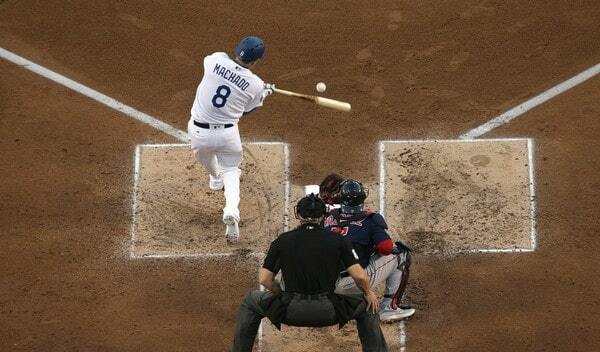 At the same time, you’d hate to take away the aggressiveness that makes Machado the hitter he is today. His ability to get the barrel on the ball and drive it with authority is rare and you’d hate to have him take pitches just for the sake of taking pitching and drawing walks. Machado is only 26. He turned 26 in July. Hopefully as he enters what should be his peak years, he develops a little more discipline and draws more walks. If not, well, he’s still pretty awesome. A tick above-average aside from 2017. The league average extra base taken rate — that’s going first-to-third on a single, scoring from first on a double, etc. — is 40%. From 2015-18, Machado’s extra-base taken rates were 43%, 52%, 37%, and 50%. That 2017 season looks a miserable down year all the way around. Good thing he didn’t become a free agent last offseason, eh? The 2018 season was a reminder that yes, Machado is a great player. Machado is a natural shortstop. He was drafted as a shortstop and he played shortstop throughout the minors up until he was summoned to the big leagues and moved to third base in deference to J.J. Hardy. The Orioles had Machado play two (2) tune-up games at third base before his call-up and they were two months before he was actually called up. For all intents and purposes, the O’s threw him in the fire at the hot corner. When the Yankees played the Orioles this year, whenever a ball was hit Machado’s way, it seemed like he was on the ground. Diving or going to a knee to field a grounder, whatever. He was always on the ground. That wasn’t the case with the Dodgers. He looked quite good at short during is limited time in Los Angeles. Ken Rosenthal (subs. req’d) wrote the Dodgers used analytics to help Machado with his positioning, specifically by shading him more to his right. To me, this is 100% believable. The Orioles have not been analytically savvy the last few years, far from it, and the Dodgers are pretty much the exact opposite. They are as smart and state of the art as any organization in the game. Machado rating poorly on defense with the Orioles then suddenly becoming a solid defender with the Dodgers doesn’t surprise me at all. He certainly wouldn’t be the first player the Dodgers have improved with analytics. That all makes sense to me. Machado had not played shortstop regularly in a long time and it took a little while to get back up to speed. Also, the Dodgers are a smarter and more well run organization than the Orioles, and they found ways to help Machado improve defensively. Both of those things can be true. Machado looked good enough defensively late this year that it’s easy to envision him staying at shortstop going forward. And, of course, the fallback plan is moving Machado back to third base, where is a legitimate Gold Glove caliber defender. Shortstop is a young man’s position. Brandon Crawford and Jordy Mercer, both 31, were the only full-time shortstops age 30 or older in 2018. Machado is only 26. Sign him long-term and you have to expect him to finish his contract at another position. For now, I think you can count on him to play at least a few more years at short. Machado is only 26 but he’s already had surgery on both knees. He hit first base awkwardly (video) in September 2013 and tore ligaments in his right knee, and needed surgery. The procedure kept him out until May 2014. Then, in August 2014, Machado tore a ligament in his left knee while taking a swing (video). He had surgery and was ready for Opening Day 2015. Surgery on both knees at such a young age is scary. The good news is Machado has had no injury problems, knees or otherwise, since. He played in 637 of 648 possible games from 2015-18 — that includes all 162 games in 2015, the year after the two knee surgeries, and another 162 games in 2018 — and his 2,808 plate appearances the last four years are 53 more than any other player. For all intents and purposes, Machado has no injury history beyond the knee surgeries. He missed a game with a jammed finger in 2017 and another two games later that season after taking a pitch to the wrist. That’s pretty much it. Typically baseball player stuff. The knee surgeries are a red flag, especially since he plays positions that require so much mobility and quickness. The fact Machado’s been so durable since the knee surgeries is a positive sign. The annual dollars are similar. The years are not. There’s a five-year gap between the shortest and longest contract protection! Imagine applying that to any other free agent. I feel like eight years is the absolute minimum for Machado with ten years most likely, and 14 years (taking him to age 40) not completely out of the question. Giancarlo Stanton set the benchmark at 13 years and $325M. Machado (and Harper) wouldn’t be wrong to use Stanton’s deal as a starting point in negotiations. Keep in mind Machado’s contract will include an opt-out. Likely opt-outs. Plural. You can’t sign an elite free agent without giving him an opt-out these days. Even mid-range free agents like Ian Kennedy and Scott Kazmir managed to get opt-outs. Machado’s going to get at least one and probably more. I have to think his agent would like the time the (first) opt-out so that it allows him to become a free agent before his 30th birthday, so figure no later than after year three of his new contract. The opt-outs will complicate the contract structure. Does the team front-load the contract to encourage Machado to opt-out and thus avoid paying for his decline years? Do they back-load the contract to try to get out of as much money as possible if he does opt-out? The former seems like a good idea, but don’t underestimate just how much an owner might want to push the bulk of the money as far away as possible. Same with the front office. Back-load the contract and the high-priced years will probably be some other general manager’s problem. I think Machado is going to get at least ten years and $31M per season, with a bunch of opt-outs. That $31M per year would tie him with Cabrera for the largest average annual salary among position players, and ten years is kinda standard for a superstar free agent position player. A-Rod got ten years (twice!). Robinson Cano got ten years. Albert Pujols got ten years. Ten years for Machado is not unreasonable given his age. Those ten years would cover his age 26-35 seasons. Not bad at all. Following the James Paxton trade, my quick math gives the Yankees about $25M to spend under the $206M luxury tax threshold, and that’s with Sonny Gray’s projected salary on the books. Realistically, there is no way the Yankees could sign Machado and stay under the threshold next year. They’d have to cheap out on pitching and unload a high-priced player (Stanton? Aroldis Chapman?) to make it work and I just don’t see it happening. Signing Machado would require going over the threshold. The “Johnny Hustle” and “that’s not my cup of tea” lines have been repeated ad nauseum with the “there’s no excuse for it honestly” part conveniently left out. Machado tried to do damage control while speaking to Mark Feinsand recently — “For me, I was trying to talk about how I’m not the guy who is eye wash. There’s a difference between fake hustle for show and being someone who tries hard to win. I’ve always been the guy who does whatever he can to win for his team. But I know how I said it and how that came across, and it’s something I take responsibility for,” he said — but it’s too late for that. The court of public opinion has rendered a verdict. I honestly have no idea what Machado could say in a meeting with Hal and Cashman and whoever else to assuage any concerns. Seems like an impossible task. As I said yesterday, I think this is all an act. The Yankees will sign Machado if the money is right. If they sign him, they’ll say they had a great meeting and believe the non-hustle comments were taken out of context or something like that. If they don’t sign him, they’ll get up their high horse and say they don’t think a player who acts like that is fit for pinstripes. Take it to the bank. At this point, I hope every player hustles mostly so everyone would just stop talking about it. A not insignificant portion of y’all are reading this at work and are Mad Online a baseball player doesn’t try harder at his job. You know it’s true. Machado has been jogging out grounders for years — is it wrong for a guy who’s already had surgery on both knees to not run out every routine grounder? — and, when he did it in the postseason, it looked awful. Same when he played a double into a single because he thought it would leave the yard. The optics were so, so bad. I’m much more concerned about the incidents that can be construed as an intent to injure. When he spiked Dustin Pedroia’s calf last year? That play happened so fast and I genuinely believe Machado’s foot hit the bag and popped up, and Pedroia’s leg was in the wrong place at the wrong time. The Aguilar kick? Nope. I can’t see that as anything other than premeditated and malicious. Same with the bat throwing incident. That’s a problem. I wish Machado ran out everything. I wish every player did. It’ll never happen though and there’s no point in getting bent out of shape about it. Trying to hurt another player is much more serious matter to me. I can’t believe more people aren’t talking about it. Does He Make Sense For The Yankees? A little too right-handed leaning but hot damn. Machado could play short until Didi Gregorius completes his Tommy John surgery rehab. What happens after that? Who knows, but the Yankees will have options. The Yankees could move Machado to third and Andujar to first (or left). They could put Machado at third and trade Andujar for a young starter. They could let Gregorius walk after the season and move forward with Machado at short. Too many good players is not in any way a problem. Contractually, Machado doesn’t work for the Yankees unless he takes a huge discount (lol) or they’re willing to exceed the luxury tax threshold not just next season, but in future years as well, because Judge and Sanchez and Luis Severino are going to get more expensive soon. As for the hustle talk? Who knows how the Yankees will handle that. Basing a decision on hustle — hustle! — rather than talent, or dollars, or years, or a bunch of other things seems kinda silly. Silly enough that I don’t think it’ll happen. “Every year you’re charged with determining who would be a good fit for your club, who you want to move forward with and, obviously, who you don’t. We’ll make those determinations and act accordingly,” said Cashman at the GM Meetings earlier this month. It’s pretty clear Machado the player fits the Yankees. Machado the contract might not in this era of austerity, but we’ve talked about the luxury tax nonstop for like five years now and I’m beyond sick of it. If the Yankees decide to pass on Machado because they’re concerned about what sure looks like repeated attempts to injury fellow players, that’s one thing. Passing on a dude because of a lack of hustle when he can do many other things to help you win is another. I think the Yankees are milking this as much as possible. They’re putting on a good show for fans. Ultimately, I believe this comes down to money. If it makes sense, the Yankees will act. If not, they’ll walk away and everyone will talk about Machado’s flaws rather than the growing disparity between the team’s revenue and payroll.